Hello Kitty, yes! Smurfs, yes! Can we have both? Yes! 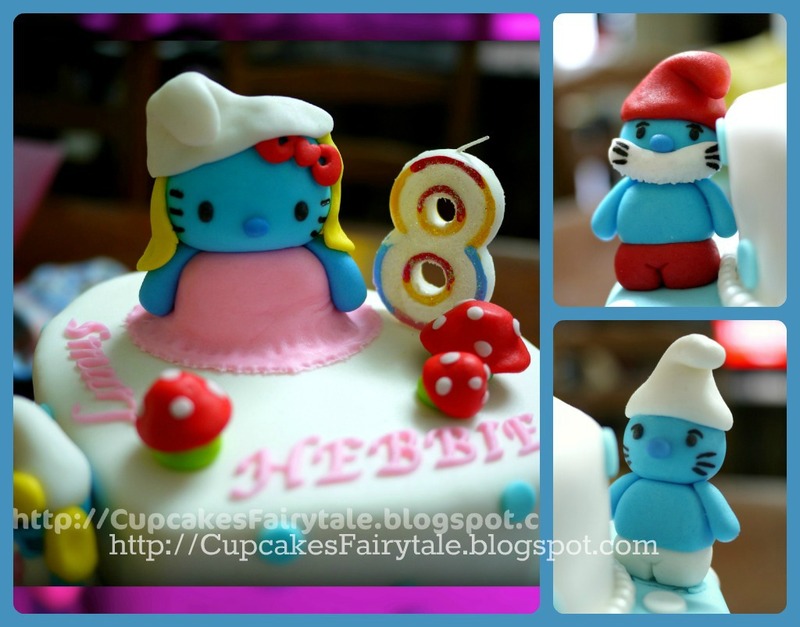 This is indeed a very special cake as I have made Hello Kitty and Smurfs before, but having a combination of these two in one.......this is the 1st time for me. I was so excited when I got this order from Fennie. 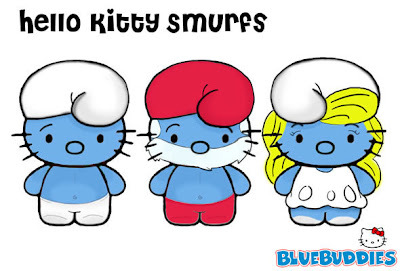 She mentioned that her daughter loves this Kitty Smurf, especially the 'female' one. I started searching the web to find out what does this Kitty Smurfs looks like, and indeed, it's really cute and special!! 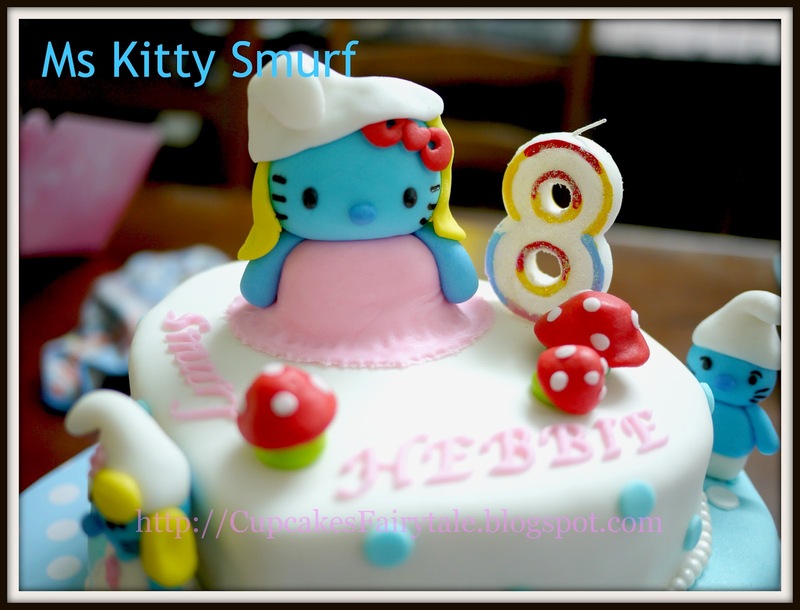 And here it is....my very first and unique try-out creation of "Kitty Smurfs" for the birthday girl, Hebbie! Hope you like is as much as the birthday girl too! !